I grew up in the 1970’s. There were no cell phones, no cable TV, no video games and no Internet. Well, I’ll tell you how. I grew up on a farm with tire swings, mud pies and barbie dolls. We lived life outside, we talked to one another and we were not caught up in the drama of reality shows and the “stars” that are created by them. I loved watching movies too, I still do. I love the old black and white and sometimes sepia tones of the old movies. I love classics and I still believe that the old horror movies with Vincent Price are the best. So why would someone want to remake these old movies? Is it because the kids today would find them too boring or old school? Or like Steve’s daughter says, “That’s from the old days!” Is it to bring a new generation of audience into their realm hoping to gain more followers? I say let the kids see the oldies and give them the chance to enjoy them and decide for themselves. Surely the writers of the world have not run out of ideas. Why recycle the ideas of others? Write new movies! I have heard enough about the remakes of Willie Wonka and The Chocolate Factory, The Omen, Bonnie and Clyde and so many other favorites of mine but what I found out recently blew me away. 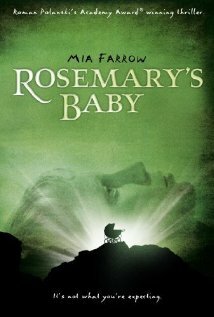 Are they actually considering remaking my favorite horror movie of all time Rosemary’s Baby! What?!?! This movie is brilliant, pure genius! How can you go wrong with a director like Roman Polanski, writers Ira Levin (novel), and Roman Polanski (screenplay) and stars such as Mia Farrow, John Cassavetes and Ruth Gordon. I mean it was bad enough to remake (badly I might add) the horror classic “Carrie” by Stephen King. A movie that every teen girl, including myself, made us rethink our decision to go to our senior prom. It was the Jaws of our time! It taught me about bullying and how we should be nice to the strange girl and not make fun of her in gym class. Well, actually I was always a pretty nice person in school but you get the point. Stop remaking old movies! They cannot compare to the beauty of the originals. Who could forget Warren Beatty and Faye Dunaway racing down the dusty back roads as Foggy Mountain Breakdown played in the background. Or Gene Wilder as the sadistic, lovable chocolate maker or Gregory Peck as Damien Thorn’s father? What about Sissy Spacek as the bloodied prom queen? The children of this generation will never know such joy. But then again, most of them will never know the joy of a tire swing or a mud pie either.